Now through December 31, 2016, Pro Tools 9, 10 11, and 12 owners with an expired or no Annual Upgrade Plan will receive an additional year of upgrades at no additional charge when they purchase a Pro Tools Upgrade Reinstatement Plan (a $99 value). This offer effectively doubles the plan duration from one year to two. 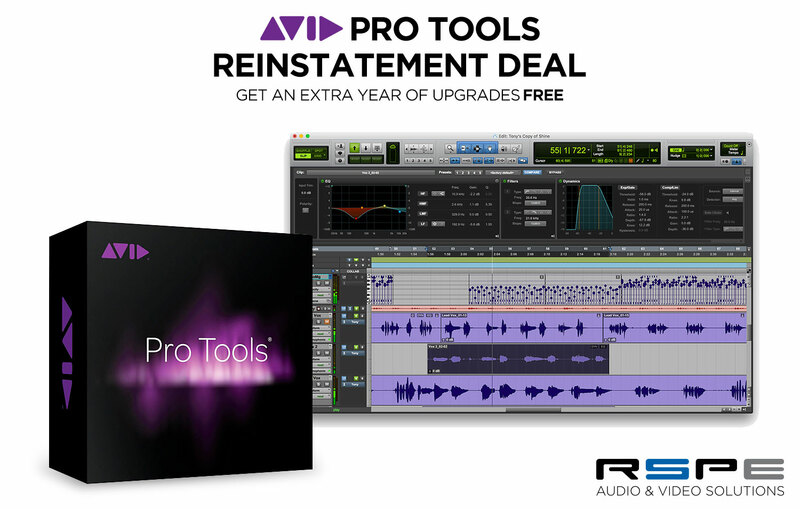 Buy a Pro Tools Reinstatement Plan Now and Get Your Free Extra Year of Upgrades! Customers who activate a Pro Tools Upgrade Plan Reinstatement between December 7, 2016 and December 30, 2016 will receive an additional one-year Annual Upgrade Plan in their Avid Master Account. The product will be added to their accounts mid-January and can be redeemed by navigating to Products Not Yet Downloaded. This offer is eligible on Upgrade Plan Reinstatements for Pro Tools only. It is not eligible on Upgrade Plan Reinstatements for Pro Tools | HD, Pro Tools for Education, or Institutions.